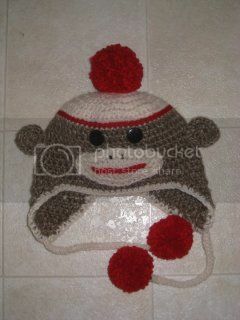 This entry was posted in giving, help, knit, needy, warm, winter on September 28, 2010 by littlebirddesignsfxbg. Just a quick thought I had while I was beading yesterday. I was sitting in my recliner, tray in my lap with a book and beads on it. The beads we in the little plastic box containers they came in so I could easily use the needle to scoop out the beads as necessary. I was just starting to pack everything up when I accidentally flicked the box of beads into my lap! Several bad words later, I am trying to use my shirt as a funnel to get the beads back into the container. Then I stood up…. plink, plink, plink. Beads start raining on the floor! Cursing some more, I get on my hands and knees with a led flashlight to start hunting beads. But little did I know, Berber carpeting eats beads! I used my hands to swipe the floor trying to feel for any loose beads and I ended up smooshing them into the carpet even more. More hunting and finding and I finally finish locating all the beads, I hope. Long story short, Berber carpeting is the demon carpeting for beaders. At this point I am considering only beading in my bathroom where the linoleum will allow the beads to roll, but at least I will be able to see them! As a side note, I am currently working on an odd count, spiral patterned peyote tube to be fashioned into a necklace to go with a beaded flower I made a week ago. Once I have it completed I will, of course, put up a new post with pictures. Until next time…. happy crafting! This entry was posted in monster, odd count, peyote, recliner, spiral on September 25, 2010 by littlebirddesignsfxbg. These little beauties were super fun to make. Just a little expert wire bending and voila! Presto! Handmade earrings! Another successful project, although this one was done more on the spur of the moment, with a lot less components going into it. Beautiful opalescent purple shell disks with gold drizzles, suspended from delicately formed S curve wires with French ear wires. 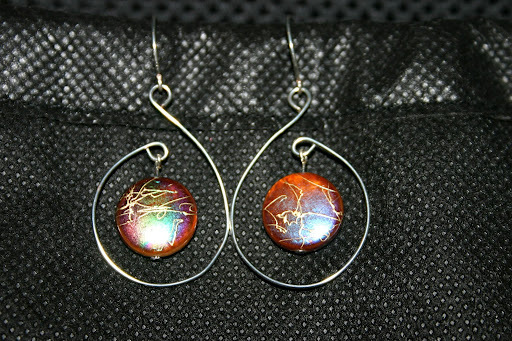 Please send me an email at smf2001@gmail.com if you are interested in purchasing these earrings. Or you can click on the “Buy Now” button over to the left. On sale now for $20.00. This entry was posted in fun, gold, handmade, purple, s shape, shell, wire on September 23, 2010 by littlebirddesignsfxbg. 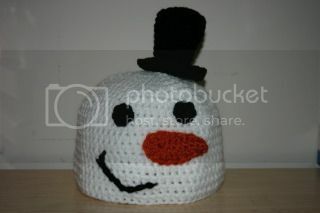 This entry was posted in Uncategorized on September 23, 2010 by littlebirddesignsfxbg. Nap times are wonderful. So much can be accomplished during a nap. Lunch eaten, chores done, projects finished. A special thank you goes out to my sweet son, Jason, who allowed me to finish this project today! 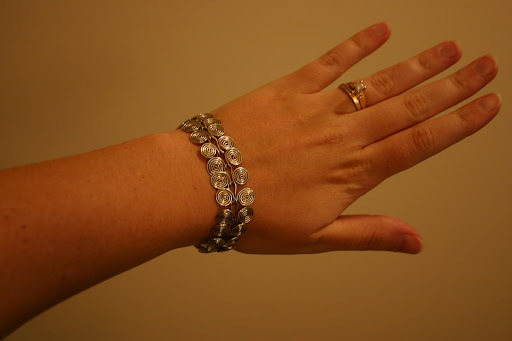 Having spent a few hours making this bracelet, I am pleased with the outcome. A very nice bracelet, just enough slack, while not “jangly” still has nice movement. Since the clasp is next to the skin it is unlikely to fall off as is possible with a toggle clasp. All in all, lovely, in a very Egyptian sorta way. 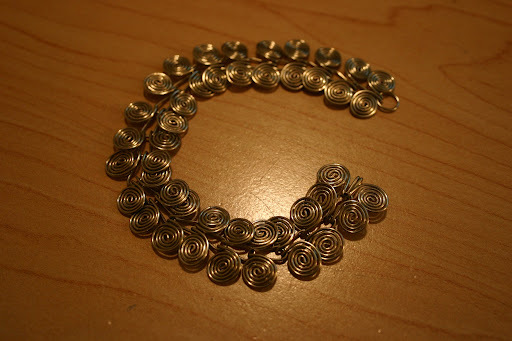 This entry was posted in project, spirals on September 23, 2010 by littlebirddesignsfxbg.